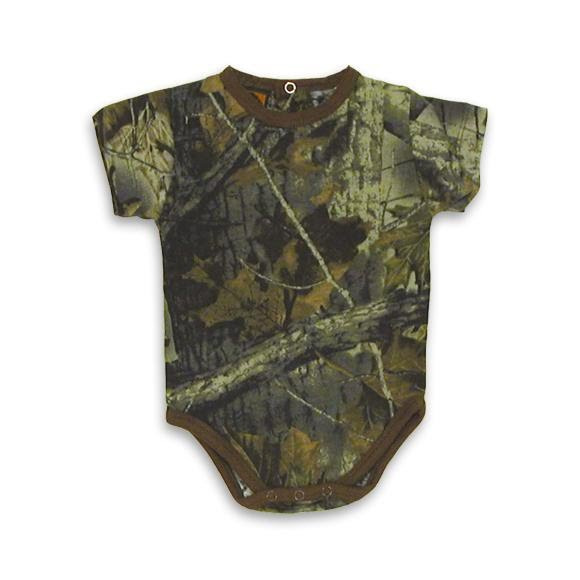 The Trail Crest Camo Onesie features a button closure back neck along with button close fly for easy on/off and diaper changing. After years of testing we have designed our original multi color hunting pattern HIGHLAND TIMBER. We have chosen a combination of barks, branches and twigs for its 3D affects plus oak and maple leafs that fills the open space. These great colors create an all tarrain pattern that works great in all different hunting regions. Product was exactly as advertised. Shipment arrived on the date promised.